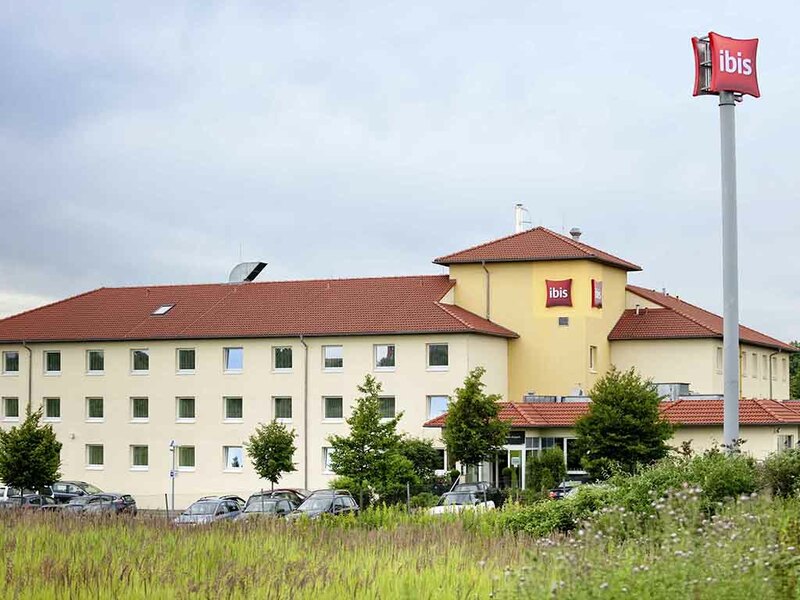 Hotel ibis Cologne Airport. Book your hotel now! Generally my stay was OK, but I did not feel that staff recognised my platinum status. Room was very basic, hotel could have had a shuttle (for the price). The only reason I chose it is my membership, sadly not worth the money. But I got my welcome drink at least. Basic necessities were met. Able to check in a couple hours early which was fantastic! I am surprised that by cancelling just 1 night, instead of the original 2 nights, I should have to lose the whole previous booking ref. HDJDFNXM in the sum of 110.2 euros (£97.35) ? Basically, it has cost me 174 euros for a 1 night stay ! Surely it was NOT a cancellation, but a change in the number of nights booked. I am confused. If I had booked 1 night originally and changed it to 2 nights, would you still have charged me for 3 NIGHTS ? I will not be staying again at Ibis if this is your policy and neither will any of my friends who stayed 2 nights in the Ibis Budget Hotel across the road. I initially paid for 2 nights at Ibis Koeln Airport Hotel at cost of 110 euros but had to change my booking to the 2nd night only due to change in flight times. I then had to pay a further 64 euros, total 175 euros for 1 night, I was informed I would not have any refund as it was a `cancellation` even though it was the same hotel and same date on 23.02.19. If I had changed it from 1 night to 2 nights, would I have had to pay for all 3 nights ? I will be advising my friends who stayed across the road in Ibis Budget Hotel for the same 2 nights (and like me are regular visitors to Germany ) to read the small print when they visit Germany next time ! Ibis are insisting it was a cancellation, but it was simply a change from 2 nights to 1 night (and I fully expected to pay for 2 but not 3 nights). Thank you. Value for the money was not good. There was no restaurant, which was expected from the homepage. If a hotel cut down, they are not good to make information about it. If there is something new, for sure they will inform about. There is room for improvement. Although slightly dated, it was an ideal overnight stop with very helpful staff and a nice breakfast. It was terrible and this questionaire is not much better as this is second request. Allowed slightly early check in. Standard IBIS room quality - clean, really comfortable bed, good shower - well worth rate paid. Only down side - no food available during my stay due to staff shortage/sickness. I had booked online with my credit card room and breakfast. 2 rooms for 2 adults, and 2 children aged 8 and 14. Breakfast was charged for 3 adults. I While checking out, the Ibis person at reception asked me to pay for breakfast for my daughter (8 years). I asked him why I was not asked to pay when I booked online. Also while checking in the previous evening, the person at reception (was a different man) did not ask for this payment. He said your online system is wrong, and his other colleague did not know the hotel rules. I did not pay. He accepted that. But he was rude with me. I think it was unethical of him to ask me for improper payment. This is the first time I experienced bad behavior in any Accor hotel. Please take some action that this is not repeated. I do not know the name of your staff. He was a heavy set, middle aged, German and English speaking man. My electronic door mechanism failed and the staff had to use a metal key to open the door which meant once inside my room, it was not easy to leave unless I beought a staff member to open the door with their master key. Far more basic than expected. The room was very basic. Not even a kettle or a cup. Bedding was equally basic, very thin duvet, no sheet, one unsubstantial pillow per bed. My pillow was a small square cushion for which the pillow case was folded inside itself so it didn’t billow. I had some problems trying to book a taxi with reception, so waited till a different member of staff was working. Other than that I had no interaction with the staff. Everything was immaculately clean. I didn’t have breakfast as it seemed very expensive for what it was. Dread to think how basic the hotel next door must be! The Ibis has a good value for money ratio. Unfortunately I arrived quite late. I was positively surprised that a draft beer was served at around 2:15 a.m. Bedding and bathroom capsule were fine. This hotel is a standard Ibis. I was given a smoking room which was a little smelly from previous users. I had not asked for a smoking room, but too tired on arrival to ask to change. The location is very convenient , one stop on the railway from airport. Frequent trains into Cologne. The location is not attractive, semi industrial littered with take away food residue. Cleaningness and housekeeping service is very fluctuate. Public gents toilets need a deep cleaning. Restaurant service first day very keen and willing to service, second day exact the opposite situation. Generally fair to stay, but not invite fully to return. Fine hotel. Good distance to center of town. Breakfast ok. Could have used an extra duvet, not easy to share 1 duvet only. Hotel should consider free parking for their guests. Recommendable for a short stay/town visit. Food is good, room features (towels) deficient. We didn't get towels in the room, but I ask for it at the reception, and after that we get them.